Replace your leaky 1994-2004 Mustang roof rail weatherstrip with this direct replacement for passenger side! Replace your leaking 1994-2004 Mustang roofrail weatherstrip with this passenger side replacement from Ford! 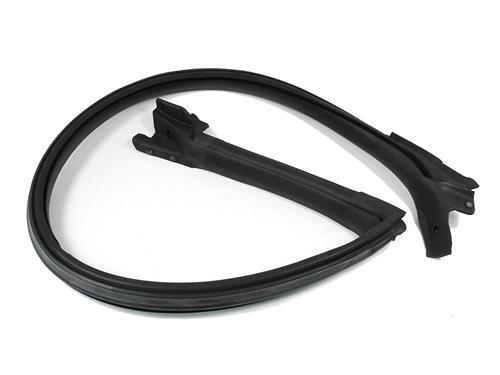 The roofrail weatherstrip is located on the upper half of the door opening on the body of your 1994-04 Ford Mustang hardtop and seals the door window to the body. It starts at the front upper door hinge, runs up the pillar, around upper door glass, and back down the rear pillar. Due to various production changes over the years, this weatherstrip may vary slightly in appearance from your original, but it will fit & function just the same.